47% of violent television programs show the victim going unharmed, especially in cartoons. The person in the cartoon or television show gets bowled over by another character and they get back up without being harmed. Children begin to believe that violence doesn’t really hurt others. Television shows that allow the character who commits the crime to receive no punishment, teaches children that it is alright to commit a crime because nothing will be done. Criminals and violent acts do not get punished. Television is a powerful teacher and if children are always viewing their favorite characters using violence or aggression to get what they want, children will do the same. Kids feel that if they copy the criminal they will be a hero, too. The hero that commits the crime is glamorized. There is nothing heroic about violence and it is wrong to show kids that it is. Children begin to think of criminals as powerful role models. 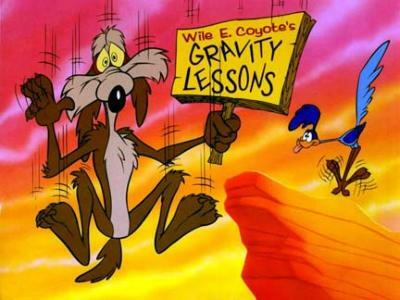 If Wiley Coyote gets killed, the other cartoon characters don’t care, and they may even laugh. TV makes violence and even death seem funny and unreal. Categories: Aggression | Tags: Aggression, violent cartoons, violent media, violent television | Permalink.